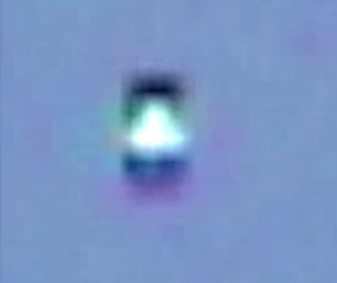 UFO SIGHTINGS DAILY: U.F.O Captured Changing Spectrum Of Colors Over San Antonio,Texas May 1, 2015, UFO Sighting News. 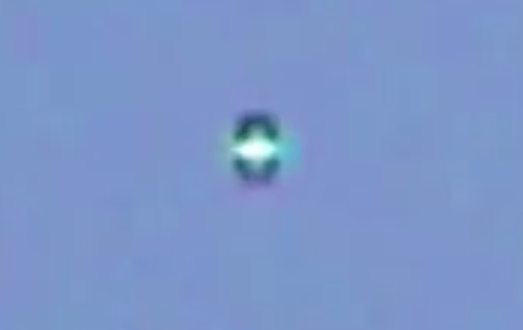 U.F.O Captured Changing Spectrum Of Colors Over San Antonio,Texas May 1, 2015, UFO Sighting News. While Skywatching I notice this bright light high altitude...No FAA navigational light's were observed...When zooming in an energy U.F.O can be seen..You can see how it was expanding and contracting as if it was sliding high above....Something was moving at the bottom....You can clearly see a U.F.O slowly traveling overhead changing colors...Analyzing video Captures you can see how its emitting a glow around it.Like an Energy Field around it.....I did not hear any engine noise coming from that direction...Awesome sighting due to how this Orb Emitted Different Spectrum of Colors......This Red/Neon Blue glowing object was clearly no weather balloon/aircraft/satellite/planet In my opinion its clearly an UNIDENTIFIED FLYING OBJECT.